This didn’t feel right. I had an overwhelming sense of unease, one that told me I shouldn’t be here. It was 11pm, and I rolled restlessly in the back of my pickup truck as I listened to the incessant chatter of my mind. I felt my heartbeat quicken as my palms began to sweat. I’d driven up a long dusty track in the hills overlooking Las Cruces, New Mexico, under the dark of night while I searched for a quiet, nondescript place where I could sleep for free. The Mexican border is just 50 miles away as the crow flies, though I didn’t know if that was considered close or far away. It felt close enough though. Worse yet, I had no idea if overnight camping was even allowed here, wherever I was. 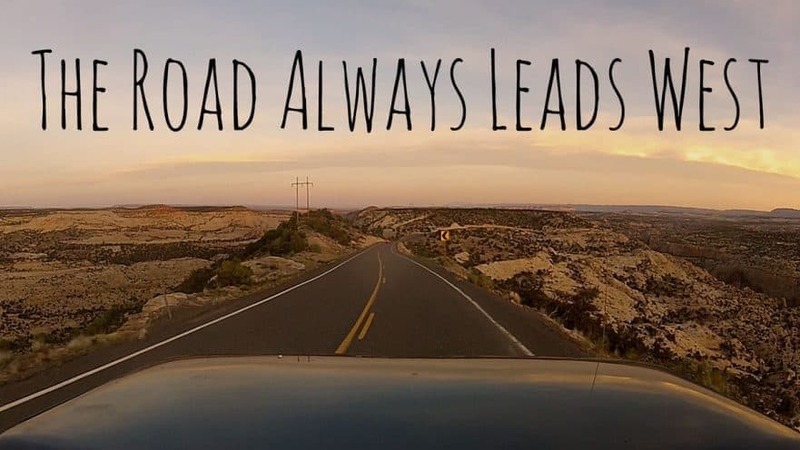 I’d just picked some dirt road on the outskirts of town, far on the other side of the Rio Grande, and drove and drove, before taking a right at the Y and another right at some random path, barely wide enough for a single vehicle. I had four wheel drive, but I hadn’t engaged it, so I stalled out on some steep, rutted incline that I was forced to back off of before ending up mired in the sage brush between two sandy hills. I revved the engine hard as the truck lurched out of the rut, and then worried about those stories I’d heard where the heat of the engine caused brush fires, which would certainly give away my stealth campsite. I headed back out the way I came, before I found a little spot to call home for the night. It wasn’t ideal. It felt exposed and made me feel vulnerable. Looking down upon the gently twinkling lights of Las Cruces was beautiful, but my unease had now heightened to a sense of dread. I figured I was overreacting, my nerves still ratcheted up from nearly getting my truck stuck. I just needed my mind to calm down, so I picked up Zen and the Art of Motorcycle Maintenance to try and help me drift off to sleep. What if I’m camped on private property? What if the owner comes out in the middle of the night with a shoot first, ask questions later type attitude? What if I’m camped on a trail the illegal immigrants use? And the lead coyote mistakes my truck for a law enforcement sting? Or worse, what if this is a route for drug traffickers? Those guys surely wouldn’t risk millions of dollars in product over some stupid 20-something sleeping in the back of his truck. All the scenarios flashing through my mind seemed to come down to an unwelcome visitor and me getting shot in the back of my truck. I set the book aside. Wasn’t this what I wanted? What I set out for? It seemed remarkable that I now found myself in this situation, scared and alone, as I tried desperately to sleep on a little yellow blow up mattress, no more than 20 inches wide, in the back of my cramped truck in the middle of god knows where. A scraggly two month old beard across my face and perhaps a little too long since my last shower. I laughed to myself at the absurdity. What would my former coworkers think of me now? It hadn’t been that long ago that I donned a suit and tie to work everyday and bustled busily through the hallowed halls of Congress, between marble statues and beneath the bright frescoes of Brumidi. Every once in a while you could have turned on your television and seen me live, working late into the night on the House floor. It was on C-SPAN, but that still counts, right? I’m sure things could have ended up a lot differently for me. I could have done what I was supposed to do, but I was stubborn, some would probably say foolish. I ran my hand over my face as if to get the blood vessels moving and help me think better, accidentally brushing the bandage that covered the swollen bump from the stitches I’d just had removed from my forehead. The wound was still tender. Then I dragged them down across my eyes and nose, and onto my beard, gently tugging on it, still a somewhat new and unfamiliar novelty to me. Sleep here would be impossible, my imagination had taken hold and had run away like a petulant child who just had his video games taken away. I crawled out from the back of my truck and hopped down into the soft sand before climbing into the cab of my truck. I turned the key over and it came rumbling to life. The dusty track soon led back to suburban housing tracts with their cookie cutter houses made of brown adobe, and neatly trimmed bushes perfectly spaced amongst ornamental rocks. Everyone now sleeping snuggly in bed and waiting for their alarm clock to send them off to work. The housing developments gave way to a four lane road with nothing on it except for the fast moving blur of oncoming headlights. I felt relieved now, even though I had no idea where I would sleep that night. I reached Interstate 10, but there was nowhere I had to be, leaving me unsure of which way I should go. I pulled onto the west bound ramp and quickly found comfort in the familiarity of the open road. This story was taken from an early draft of my book The Road Always Leads West, about my travels and adventures in the American West. Click here for more information about my new book or check out the trailer below. Fantastic writing. I’ve certainly had those exact same thoughts boondocking near the Texas-Mexico border quite recently. I think you did a great job articulating the racing thoughts that occur at times on the road. Thank you for the kind words, Taylor! Yeah, solo boondocking can be a sometimes strange experience, I do love it though!